Get ready for Taco Mode. Lyft's latest gimmick is a fun one—if you're hungry on the way home. The ride-hailing app will let you choose to stop at Taco Bell (and pay for your tacos through the app) on the way to your destination. 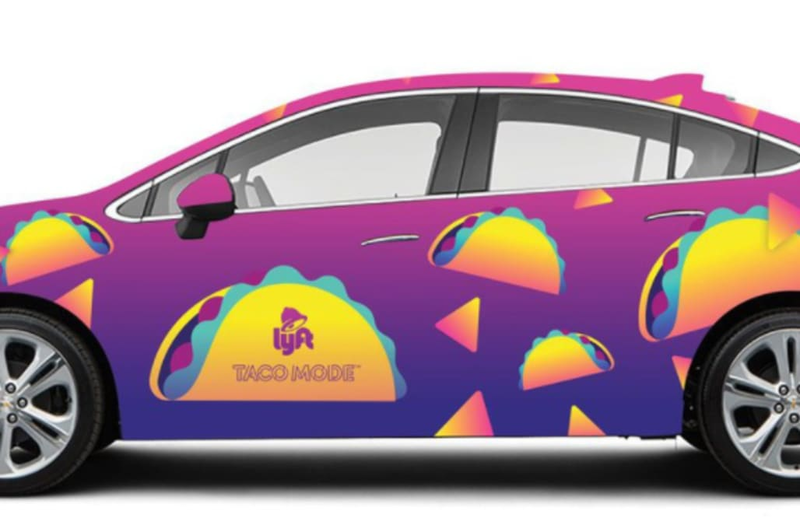 "We enjoy bringing new experiences to life for our passengers, and Taco Mode allows them to extend the night in a way that hasn't been done before," Melissa Waters, Lyft's head of marketing, said in a statement. "We're combining two of our passengers' favorite activities—a night out with friends and enjoying Taco Bell—which means there is even more of the night to love." Uber has UberEats (and a McDonald's promotion), but Lyft is cornering the market on tacos. When you choose to stop at Taco Bell from your Lyft, you get a custom in-car menu and a free Doritos Locos taco. Taco Mode is available in beta in Orange County, California from July 27 to 29 and Aug. 3 to 5. But you can only stop between 9 p.m. and 2 a.m. or, Lyft hopes, after a night out. Don't worry, though. Taco Mode is heading to more markets by the end of the year and going nationwide in 2018.